Are you a 200 hour trained yoga teacher? Are you interested in deepening your practice and taking your teaching to the next level? Join us for a FREE workshop and information session that will give you a sneak peek into our in-depth Yoga Alliance certified 300 hour training, which combines six awesome core modules and your choice of elective modules to suit your specific interests. 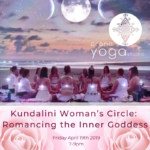 Begin with an inspiring Akhanda (holistic) Yoga practice incorporating the 5 aspects of Akhanda Yoga: pranayama, asana, meditation, mantra and philosophy led by Mallorie Buoy. Then, move into a deconstruction of backbends with Denise Currie, designed to give you a taste of advanced techniques and anatomy. We’ll complete with tea and a question and answer segment about the 300 hour program! This workshop is FREE for 200 hour grads of any Yoga Alliance certified program, and is open to all other committed yoga students for $35. Are you drawn to moving through an in-depth advanced YTT program with a committed group of like-minded individuals, growing and sharing together? Dive into the true roots of traditional, holistic yoga and its timeless application for the evolving world. 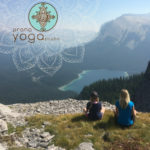 The course offers yoga teachers of all traditions a unique opportunity for professional development and profound personal growth. Yoga teaching is an art that refines and evolves as we do. This is never static, but something that develops directly through our own authenticity and through immersion in yoga practice, philosophy and lifestyle. There are no set rules or structures, but a rich tradition to draw from in our explorations. Yoga teacher training is a huge support for this development. The YTT 300 group will explore the transformative power of diverse aspects of the yoga tradition both theoretically and experientially, and provide the opportunity for students to share reflections and personal experiences in a supportive community of yogis and teachers. The course offers the following elements: Techniques, Teaching Methodology, Philosophy-Lifestyle-Ethics, Anatomy (physical and subtle), and a Teaching Practicum. 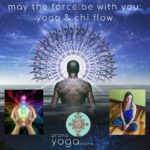 Receive 6 months of free yoga classes during the course!